Once again this year the Audi stand was an incredibly busy place to be. The headline was an all-new TT, the popular coupe now in its third generation. While it looks like the German first hasn’t changed a huge amount on the outside, there’s a suite of new technology installed to bring the BMW 2 Series Coupe rival right up to date. Since it’s based on a tried-and-tested platform and powertrain combination from other vehicles in the VW/Audi group, we’re sure this TT is going to drive very well indeed. 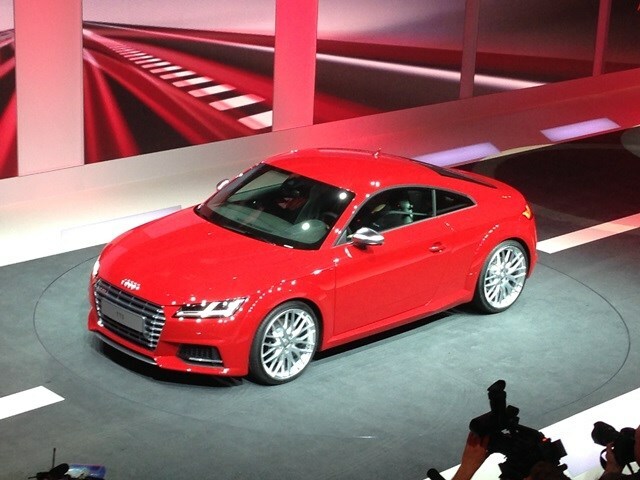 At the top of the range will be the TT S, which promises a 2.0-litre turbocharged petrol engine and four-wheel drive. Also on show was a sportier version of the A1, called (predictably) the S1. It’s powered by a 2.0-litre turbocharged petrol engine which makes 231bhp. That power is sent to all four wheels through a six-speed manual gearbox, which is a recipe that should get enthusiastic drivers excited. It’s got a two-stage stability control system so you can vary the amount of intervention the car has in your driving, while clever electronic systems serve to alter the car’s characteristics depending on the type of driving that’s required of it. You can read more about this sizzling hot hatch in our preview article here. The S3 Cabriolet was the other news on the Audi stand. This takes the regular A3 Convertible and combines it with the underpinnings of the S3 to create a hot hatch drop-top. 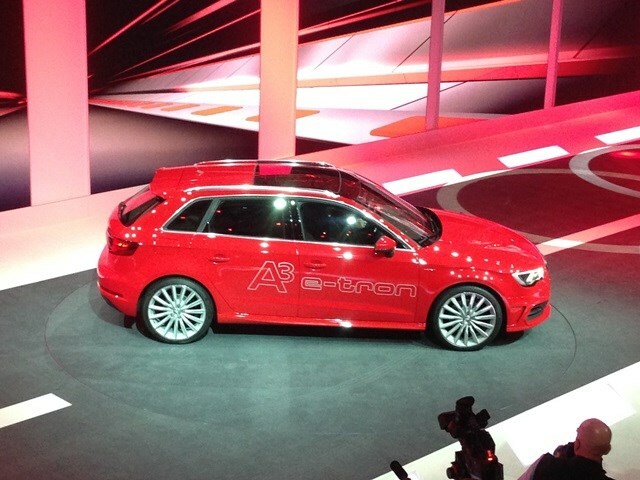 More future thinking is the A3 E-Tron which made another appearance at the VAG preview show. Based on a regular A3 Sportback this plug in-hybrid family car uses a 1.4-litre TSI petrol engine alongside its electric motor, resulting in 35g/km of CO2 emissions. 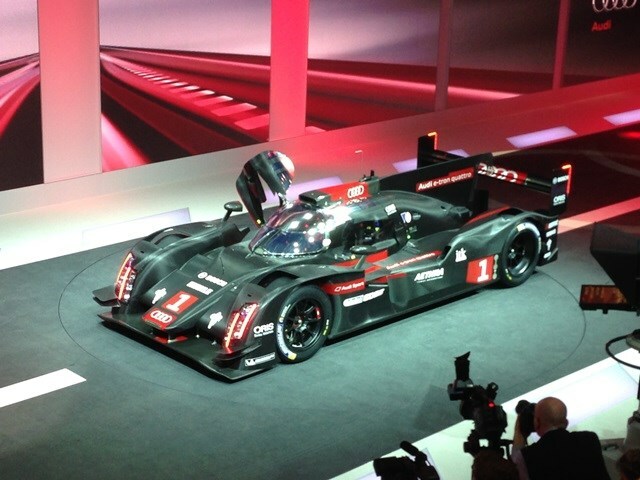 Motorsport fans will be delighted to see the R18 racer making an appearance before it campaigns in the Endurance series throughout this year.